Charisma, my 13-year-old, came home from school having been cooking. 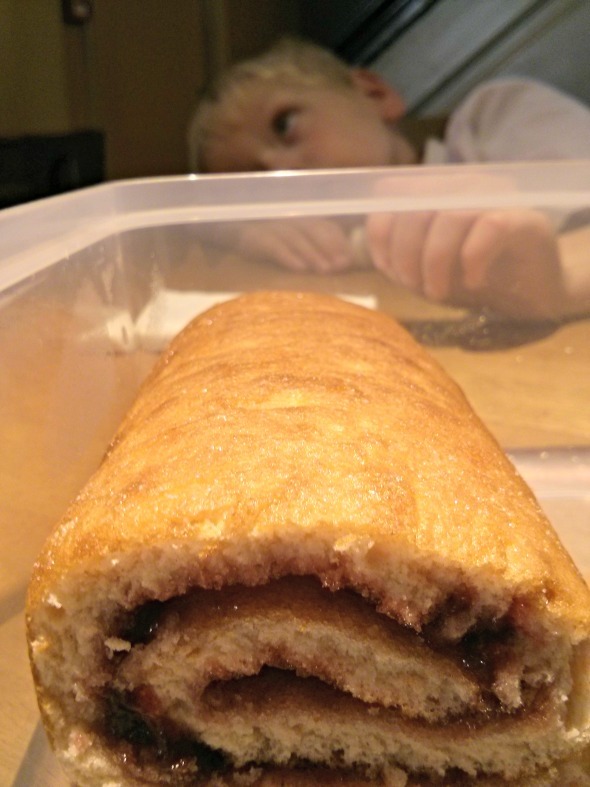 It looked so good, I present my sunday photo - swiss roll! I’m going ot assume the cake didn’t stay in the box for very long? Please let me have the cake! Great photo. Minutes, if not mere seconds it lasted after this photo was taken! Looks yummy! Can I have some? I’d like to be in a position to share but the truth is that it was all demolished within minutes of this photo being taken. What he lacks in subtlety he makes up for in cuteness, my son. Yum! Did you eat it straight after taking the shot? I was lucky I had time to take the photo at all! Home made – the best. Seems to me that this don’t left too much, looks yummi!